We seek out and stock only the best in clean and organic grocery and health goods that we’re confident will help you on your journey to be the healthiest and most joyful person you can be. When you choose to purchase clean, organic, and local products, you are choosing a quality of life that goes far above the “norms” of our fast-food throw-away culture. We know you choose your food and household products VERY carefully, aiming for the highest quality, for a reasonable cost. 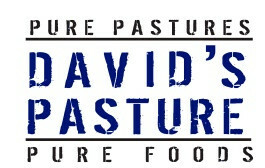 At Terra, you can always find a prime selection of pasture-raised meats from David's Pasture in the far left corner of the store.